Summer in the Mont Blanc massif: it's a pilgrimage every climber must make. The range is as rich in history and culture as it is in superb climbing. We have peaks of every size, difficulty, and description. Wether you yearn for endless granite ridge or cold north faces, for elegant lines of ice or quiet, unfrequented summits, Chamonix has something for you. 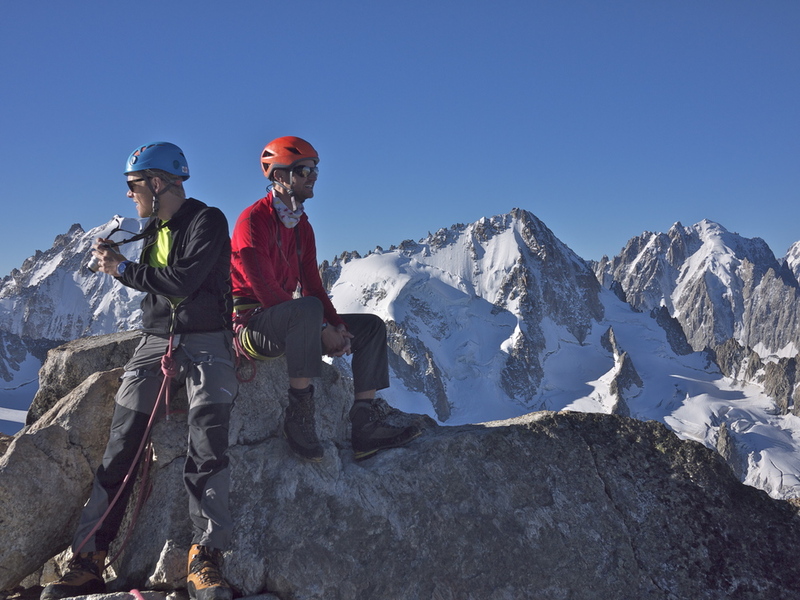 It's a great place for new alpinists to cut their teeth and learn new skills; and there is something here to test even the most seasoned climber. With thousands of routes to choose from, we invite you for the climbing trip of your dreams. Looking out on the range from the summit of Mont Blanc.